The Radstock & Westfield Big Local are pleased to have been able to play a part in helping Radstock Museum bring fossil hunting to local residents. At the fifth Dragons' Den, held at Victoria Hall, the Radstock Museum successfully pitched for £500 towards preparing the site. With another £500 match funding from Simon Carpenter they were able to do the hard part; clearing the overgrowth and exposing rocks and stones ready for investigation. They recently organised an event to showcase the batch for fossil hunting and got in touch to let us know how this has had an impact on our local community - "The project has ensured that the batch is available for fossil hunting for many more years, both organised events such as run by the Museum and also individual fossil hunting by visitors to the batch. 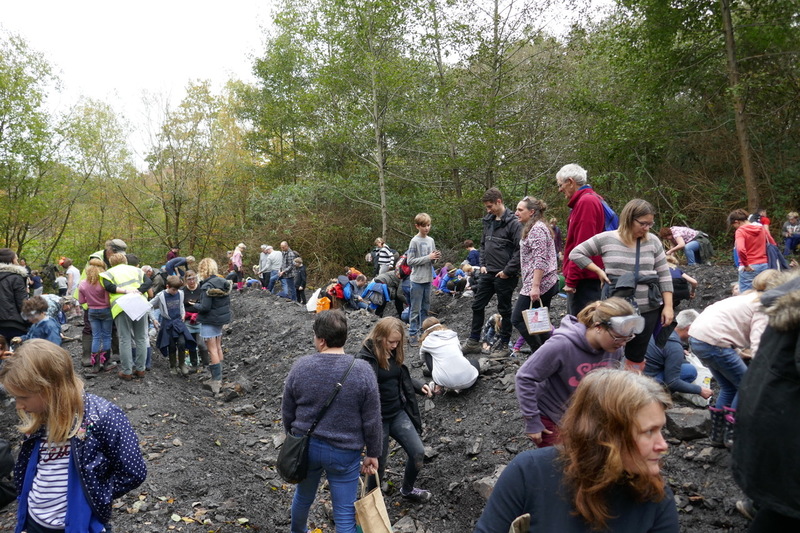 The event organised by Radstock Museum on the newly cleared site was a huge success attended by over 200 people, many of them children, in good weather and with many interesting finds. 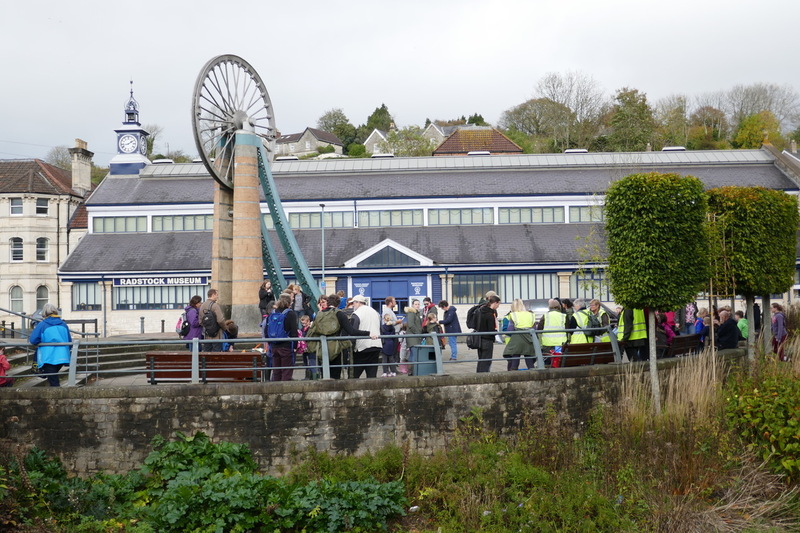 It brought together all sorts of local people of ages from 5 to over 80 who all benefited not just from the experience of finding fossils and learning about them from an expert who was on hand to advise, but also from the exercise of walking to and from the site!" So, a big well done to the team at Radstock Museum and their hard work in making our community a great place to live! This entry was posted in Community Events, Dragons' Den, People, Place. Bookmark the permalink. ← WAGS have raised their game!